If you're a fan of the Portland beer scene and you don't know about Brewvana Tours, you can be forgiven. The organization has only been in existence for a year...and celebrated their first anniversary on Sunday with a gathering of friends at Laurelwood on NE Sandy. Ashley Rose Salvitti is the brains and muscle behind Brewvana Tours. 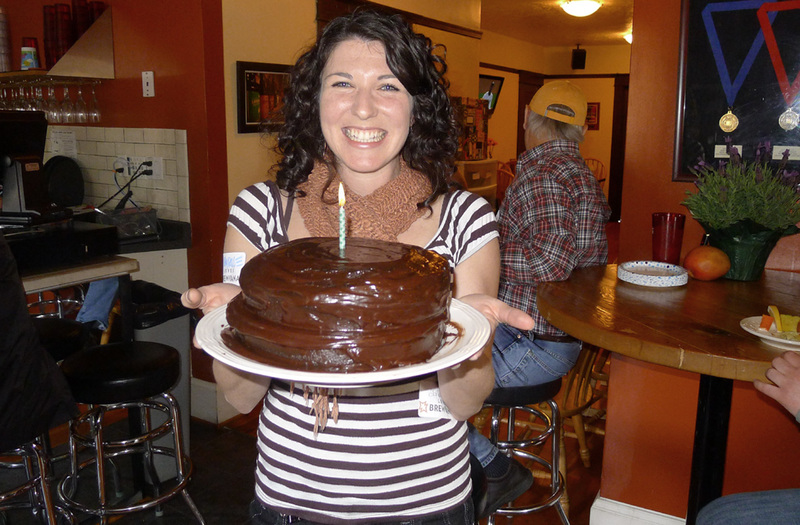 She became a fan of craft beer at a young age and eventually wound up working in a brewery. 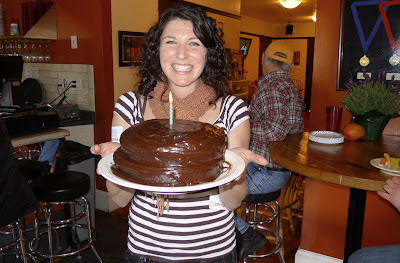 She moved to Portland so she could pursue her passion for great beer more completely and has been doing so ever since. The anniversary celebration is on! The beer tour concept is borrowed from what wine people have been doing in the Portland area for many years. You hop on the bus and ride to a handful of excellent destinations. In this case, fantastic beer is the beverage of choice. Once on site, you tour the brewery and often get to hear brewers discuss their beers. Seriously, it doesn't get much better. 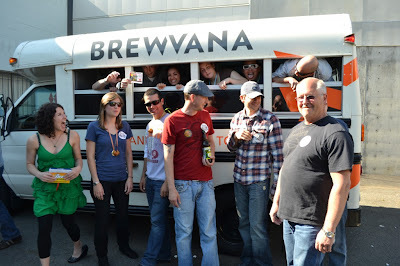 What's really cool about the Brewvana arrangement is that Ashley often has guest tour guides from the beer community. There's a nice list of brewers, bloggers and other connected folks who have shared their personal knowledge of the local and regional beer scene as tour guides. And there are more to come. Did I mention the bus doesn't stop at the Portland city limits? Brewvana Tours has embarked on trips to Hood River, Astoria and Bend. And I may have missed one or two destinations. Under intense interrogation on Sunday, Ashley told me the business started slowly, but is picking up nicely now. She also said she's looking at purchasing a second bus to accommodate the increasing interest. Although she didn't say so, I suspect summer is going to be really busy. If you're reading this, you just might have an interest in craft beer. If you do, a Brewvana Tour is an ideal way to get immersed in the area beer scene. Tours work well for all levels...from novices to complete beer snobs. It doesn't matter if you live in the Portland area or in Timbuktu. Hopping on the Brewvana bus is a ticket to an enjoyable and informative experience. You can view a list of recent and upcoming Brewvana tours here. Full disclosure: I received no freebies or other considerations in exchange for writing this piece.